Riedel Apple Decanter Small (P/N 1460/13). 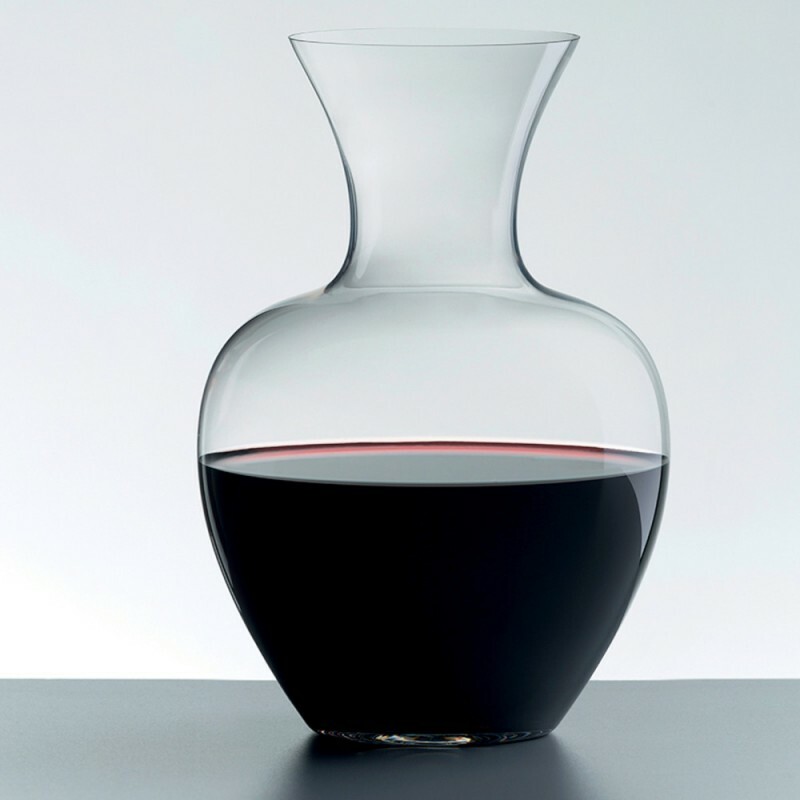 Inspired by the fresh contours of an apple and the latest New York fashions, this chic decanter is the "little black dress" of any dining experience. Decanting old wines just a few moments before they are served helps to ensure that the wine clarity and brilliance are not obscured by deposits and sediment. Decanting young wine several hours before they are served allows the wine to bloom and attain a stage of development that normally requires years of aging. Capacity: 2 standard bottles of wine. Machine made non-leaded crystal, Riedel's Small Apple decanter enhances the enjoyment of wine, both young and old, with drama and flair.